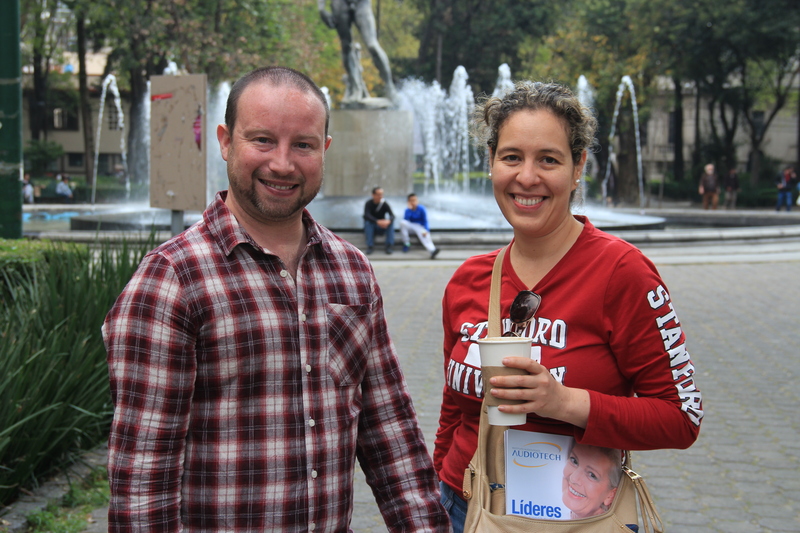 My wife, Ixchel, and I moved from Paris to Mexico City late last year for work. Although born here, and having lived here most of her adult life, my wife’s family had moved to the north of the country only weeks before the earthquake that hammered the city in 1985, killing nearly 10,000 people. Even she had never felt anything like the mega-quake that struck this past Tuesday, September 19th, nor the one that hit the south of the country a dozen days earlier. This was a new and terrifying experience for both of us. We live in Roma Norte, a newly-hip neighbourhood that has only in recent years been reclaimed and restored, having been devastated and depopulated by the 1985 quake. The area was so badly hit then because it is built on the bed of an ancient lake. Not quite foundations of sand, but not far off. Building standards have since greatly improved, and annual drills have been implemented, among other earthquake precautions. On Tuesday, 32 years to the day after the last deadly quake to hit the megalopolis, and only two hours after the most recent emergency drill, disaster struck again. Only 10 minutes after sharing a delightful Whats’app conversation with my brother, Patrick, who had just become a father (baby Lauren weighing in at a healthy 9lbs 1oz; she and mother Samantha doing great), our apartment began to sway. The movement was gentle at first, with the earthquake alarm sounding almost simultaneously, so people had little forewarning. Following the quake two weeks earlier, Ixchel and I had hatched a plan. If another one hit, we would head straight for the park, two blocks away. As it happened, we were both working from home on Tuesday. We took one look at each other and made for the door, as the movement became more violent. We didn’t even stop to put on shoes. We descended the two flights of stairs, bouncing off the walls as we went. Once outside, there was chaos. People were flooding out [of buildings]. Some were panicked and crying. Clearly, there is a deep cultural memory from 1985. As a Dubliner, who grew up in a city safe from natural disasters, it was a pretty surreal experience. The dumbstruck fascination that accompanied the quake two weeks ago had been replaced by a sense of imminent danger. As we got to the park, we passed one particularly old building that was emitting a cloud of dust and looked like it could come down any moment. It held. We stayed in the park for an hour or so, with no phone signal. With no aftershocks that we could feel, we decided to head back to our building to see if we could find a way of contacting people, in Ireland and Mexico, to let them know we were okay. In the end, we had to stay on the streets for four hours, until the security guards in our building gave the all clear that there was no gas leak. Later, back at home and with the electricity back on, we turned on the local news. Though we had heard isolated reports of collapsed buildings nearby, including a school a few kilometres to the south, it was only then that the devastation, and how close it was, became fully apparent to us. For peace of mind, we decided to spend the night in the lower-rise suburbs with friends of ours. Like ourselves, they are expecting a baby in the coming months, and none of us wanted to take any chances. Mexico is a country where family ties are notoriously strong, but where solidarity between fellow citizens is sometimes portrayed as being weak. What is striking in the wake of Tuesday’s quake is the empathy shown by Mexicans to their neighbours and compatriots, rushing to free those trapped in the rubble, sometimes for hours, before emergency services arrived on the scene. Mexico City is one of the world’s oldest and greatest urban centres. It, and its 20 million inhabitants will recover, but it will take time. In a place of such intense tectonic activity, the risk of an earthquake is ever-present. None for three decades, then two in two weeks. It’s a bit like I remember Dublin Bus … or latterly, Dublin’s senior footballers. We just hope it’s a long, long time before the next big one. This entry was posted in Articles for Irish Times, Latin America, Mexico. Bookmark the permalink. What an experience to witness and endure. Thank’s God for keeping my God-child, Vic his beautiful Mexican wife Ixchel and their little leanabh safe.